Jon Tait capitalised on a Hillhead mistake put Orkney back in front. 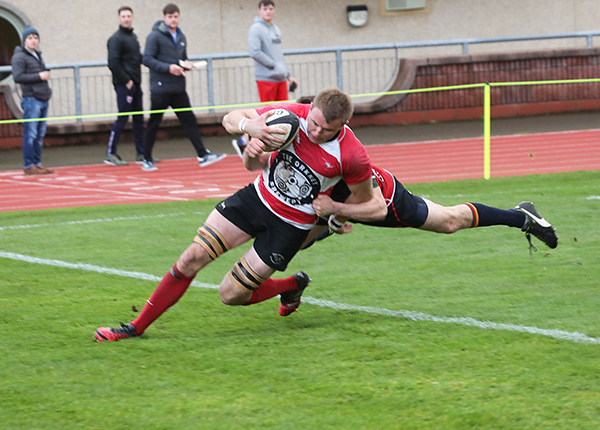 A five-try showing from Orkney RFC sealed a third win on the bounce, beating Hillhead Jordanhill 31-22. Sean Cursiter, Graham Poke, Jon Tait, Ally Linklater and Stephen MacPhail all crossed the whitewash. James Linklater and Jon Tait also got their names on the scoresheet with captain Scott Rendall hailing his side’s attitude after the match.